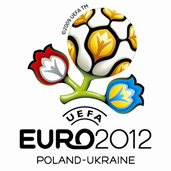 The soccer player of the representation of Euzebiusz Smolarek Poland is preparing himself for the Euro 2012 Championships. In the meantime how is writing the log “Poland” began exactly an activity as the Ebi Hospitality company who is supposed to construct hotels on the Euro in Łódź 2012. Success is supposed to assure the known surname of the soccer player and trying the French Philippe Campegno president out, the long-term manager of the Łódź Ibis of the enterprise and of Katowice Novotel. Associates aren’t giving details away to the investment see you soon but how he is writing “Poland”, Smolarek is supposed to brand with one’s surname three networks of hotels. They are to rise chiefly on edges of big towns and in enterprise zones. It is possible to expect first investments in Aleksandrowie Łódź – Smolarek family town and in Uniejowo where a big sports centre is rising. The company isn’t precluding of plugging hotels existing already in. He is writing the log bigger about the Polish attacker’s investment “Poland”.